Apollo is the next-generation online application that allows you to keep your working and personal life under control. With Apollo you will remember all of your deadlines and personal appointments. So, you can focus on what matters the most: getting things done. Apollo will enhance your productivity also thanks to the fact that it includes a full CRM (Customer Relationship Management). Apollo unifies management of projects, contacts, calendars, personal tasks, etc. in one powerful workspace. So, you won't waste time coordinating different applications: you will use an amazingly fast workspace where everything is shared instantly. Apollo has a very robust database of prospects for a sales team to connect with. Filtering and prospecting is intuitive and simplifies the ability to distribute connections to new contacts. Would like there to be more industries labeled within the prospect searcher. The AI does not always identify when a contact replies with not interested responses causing the contact to be messaged repeatedly when they should not be. One centralized dashboard to manage all clients and projects.Apollo makes it easy to manage clients, projects, tasks, and billable hours. Both project managers and clients get a beautiful dashboard to see what needs to be done and when. 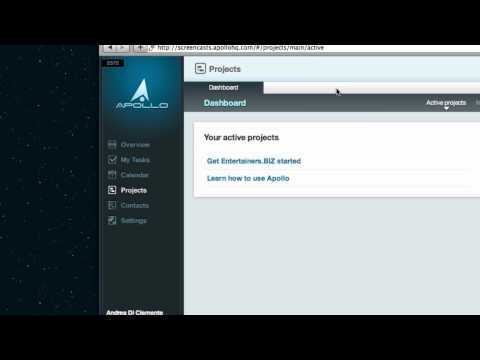 Apollo makes it easy to manage clients, projects, tasks, and billable hours. Both project managers and clients get a beautiful dashboard to see what needs to be done and when. New product features and improvements are sometimes slow, so it can take a while if you need a specific feature. Great resource for approaching customers! Very helpful tool to know how to properly approach customers that have been viewing inventory on your site. Very helpful tool to know how to properly approach customers that have been viewing inventory on your site. Below are some frequently asked questions for Apollo. Q. What type of pricing plans does Apollo offer? Q. Who are the typical users of Apollo? Q. What languages does Apollo support? Q. Does Apollo support mobile devices? Q. Does Apollo offer an API? No, Apollo does not have an API available. Q. What other apps does Apollo integrate with? Q. What level of support does Apollo offer? Q. Which apps is Apollo compared to most often?